WOVENWAR are extremely excited to debut their new music video for the track "Death To Rights". The clip was directed by Josh Klein and Nick Hipa. Check it out now HERE. Phil Sgrosso (guitars) states: "Here is our new music video for our song, "Death To Rights". The clip is mainly performance based and incorporates manipulated imagery relating to our album art. We are stoked to share it with you all. See you soon." 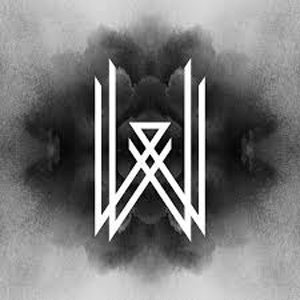 If you haven't had a chance to check out the debut offering from WOVENWAR, you are truly missing out on one of the most impactful metal albums in years. The band kicked off 2015 on a massive North American tour alongside PERIPHERY and NOTHING MORE to nothing but rave reviews. WOVENWAR continues their North American touring onslaught alongside IN FLAMES and ALL THAT REMAINS on the "Charming America" tour, which kicks off on Feb 20th. Additionally, the band will be appearing at select record stores for acoustic performances over the next month. On January 31st, the will be appearing at Hastings in Littleton, CO, followed by a March 5th appearance at Record Exchange and Boise, ID, and March 7th at Silver Platters in Seattle, WA. Please see below for all tour dates and visit facebook.com/wovenwar for all additional information. Sgrosso (guitars) further comments: "As I write this, we are in the middle of the 'Juggernaut' tour with our buds PERIPHERY, NOTHING MORE and THANK YOU SCIENTIST. The tour is off to a killer start, as we make our way through the west coast. From watching each band every night, you can't help but be impressed by the technical proficiency and musicianship this tour has to offer. Add the fact that every band and crew is comprised of rad dudes. This tour kicks 2015 off on the right foot. Immediately following the 'Juggernaut' tour, we are excited to be joining forces with the almighty IN FLAMES and ALL THAT REMAINS on the 'Charming America' tour. Having a long touring history with both bands, we know there won't be a shortage of good times, OR BEER for that matter."